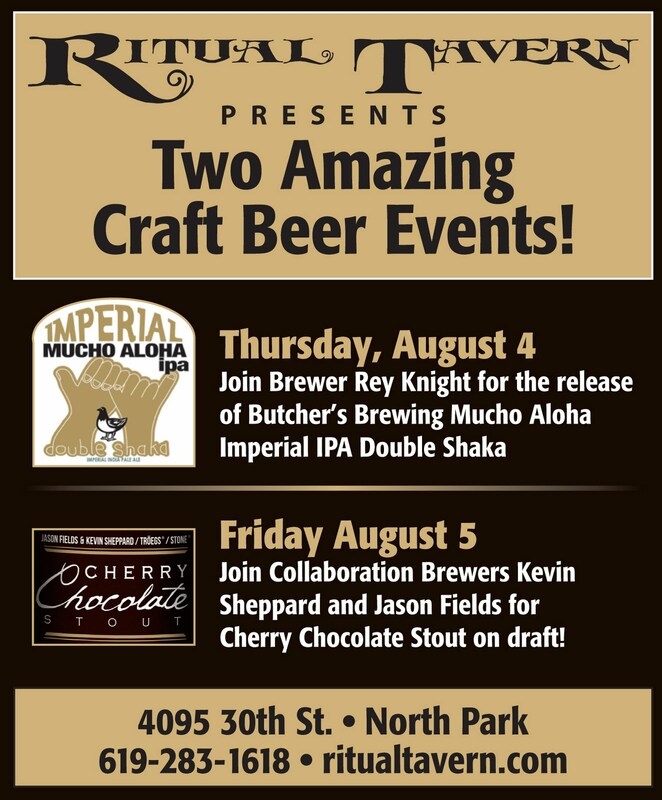 Launch Party for Butcher's Brewing Double Shaka Imperial IPA! As you may have heard there is an incredibly tasty Cherry Chocolate Stout released last week that has it's roots in San Diego. Award winning homebrewers Kevin Sheppard and Jason Fields won some competitions resulting in their homebrew recipe showcased at a national level! (Distributed by and brewed at Stone with collaborators Troegs.) Kevin is a regular visitor at Ritual so it was important to offer this draft(!) release party on his home turf. We are proud to be able to pour this crazy good beer from our taps. Can't make it to Ritual? Kevin will also be traveling to Troegs for a release party later this year on the East Coast. 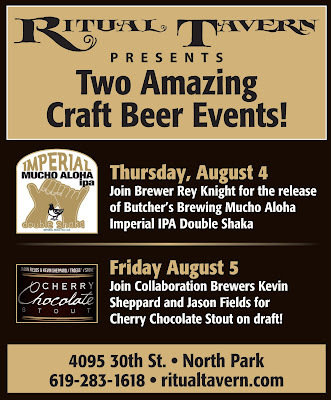 Join us as we celebrate with these local boys, and enjoy this rare beer ON TAP Friday August 5th! Did you know we're open 'til 2am on Friday & Saturday nights?